Situation: One important legal and safe nursing responsibility is concerned with administration of medications. 1. A pediatric client has been diagnosed with conjunctivitis. The nurse is to administer eye drops 4 times a day. The nurse should administer the medication on to which of the following areas? 3. The client is receiving a 5% dextrose in 0.45% NaCl intravevenously (IV) and report pain at the site, the nurse assesses the site and notes erythema and edema. What would be the appropriate action for the nurse to take? 5. The patient is ordered 2000 ml of Lactated Ringer’s over 12 hours. The drop factor is 15gtts/ml. The nurse will regulate the IV to how many gtts/min? Situation: The nurse is caring for a group of hospitalized patients. 6. What should the nurse do first to prevent patient infections? 7. The nurse must collect the following specimens. Which specimen collection does not require the use of surgical aseptic technique? Situation: The nurse is caring for Mrs. Estrada who has recently diagnosed with advanced cancer. 11. Which statement reflects Kubler-Ross stage of denial in the grief process? 15. Mrs. Estrada is now willing to try new therapies. The nurse identifies that the patient is in what stage of Kubler-Ross’ stages of grieving? Situation: The nurse should be aware of the legal principles associated with nursing practice. Situation: As a nurse you must be responsible for the needs of your client. 21. Ms. R has been medicated for her surgery. The operating room (OR) nurse, when going through the client’s chart, realizes that the consent form has not been signed. Which of the following is the best action for the nurse to take? 22. Ms. R is a client on your medical-surgical unit. His cousin is a physician and wants to see the chart. Which of the following is the best response for the nurse to take? 24. The nurse is in the hospital’s public cafeteria and hears two nursing assistants talking about Ms. R in 406. They are using her name and discussing intimate details about her illness. Which of the following actions is best for the nurse to take? b. Wait and tell the assistants later that they were overheard discussing the client. Otherwise, they might be embarrassed. 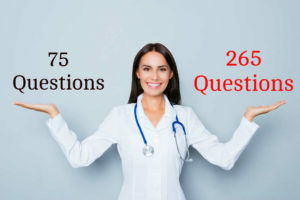 More nclex review questions coming up.